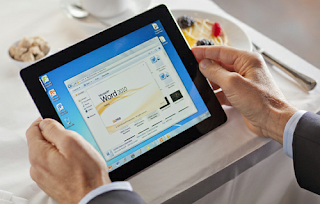 Most of the computer users knows MS Office package which is includes useful applications like word, spread sheet and presentations. But This Package is available for PC only. Now Microsoft is planning to release a full suite of Office apps for Android and iOS later this year. According to BCR report Microsoft have an idea to launch the Microsoft Office suite for both iOS and Android devices at this November. As per the previous report from daily Office comes for iOS first on Apple App store. It’s likely the cost will be around the $10 price per App. The Android version may be available after iOS version released. Is Microsoft working on the mobile version of Office? But according to news they are working on Android tablets but not Android smartphones. Furthermore, their source claims to have seen Office running on an iPad and says that it’s almost identical to the photo that hit the web earlier this year. If Microsoft releases Ofice app for iOS and Android it will be one of the most downloaded app in the World.